Walt Express has been anxiously awaiting information for this year’s International Food and Wine Festival! 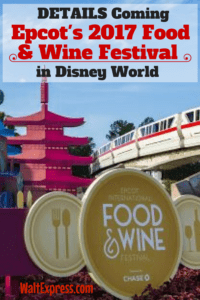 Find out the latest right here in Details Coming for Epcot’s International Food and Wine Festival for 2017. 35 is a magical number this year! Epcot will celebrate 35 years of bringing fun and excitement to visitors of Disney World. In keeping with the fun, there will be 35 marketplaces this year! This is just so exciting! There will be marketplaces stretching from the World Showcase to Future World. 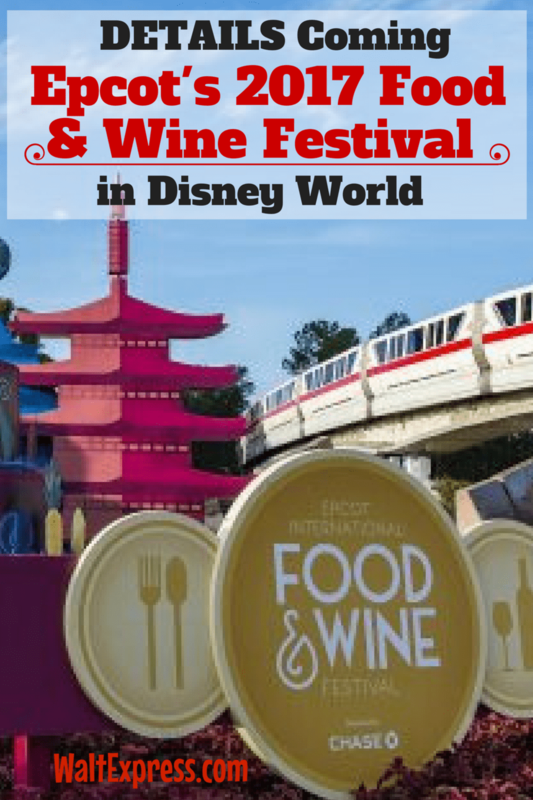 The dates have also been extended, making this year’s Food and Wine Festival, the longest EVER! From August 31 through November 13, you will be able to sip and savor an entire 13 days longer! While the Marketplaces play a starring role, we recommend planning ahead so you don’t miss your favorite celebrity chefs, hands-on culinary workshops and demonstrations at the Festival Center, Party for the Senses, or your favorite artists at one of the nightly Eat to the Beat concerts. Stay tuned. We’ll let you know when schedules are in place and bookings for specialty festival events open this summer. Chefs are busy at work on new dishes for the Marketplaces, paired with wines, beers and ciders. We got a taste of the new crispy chicken with griddled cornbread and red-eye gravy for the Farm Fresh Marketplace and the spicy Korma Chicken with cucumber-tomato salad, almonds, cashews and warm naan bread from the India Marketplace– just two of the intriguing and delectable new tastes that will be in the 2017 cookbook. Another favorite was the charcuterie in a cone from the Spain Marketplace, perfect for strolling and tasting. For a favorite sweet, it’s back to India with the pistachio cardamom cake with a dollop of chocolate coconut mousse. And these are just a sampling of dozens of new tastes. This year there are more family favorites, too, with the Ratatouille-inspired scavenger hunt back for another year as well as culinary demos and dishes geared toward kids’ palates. 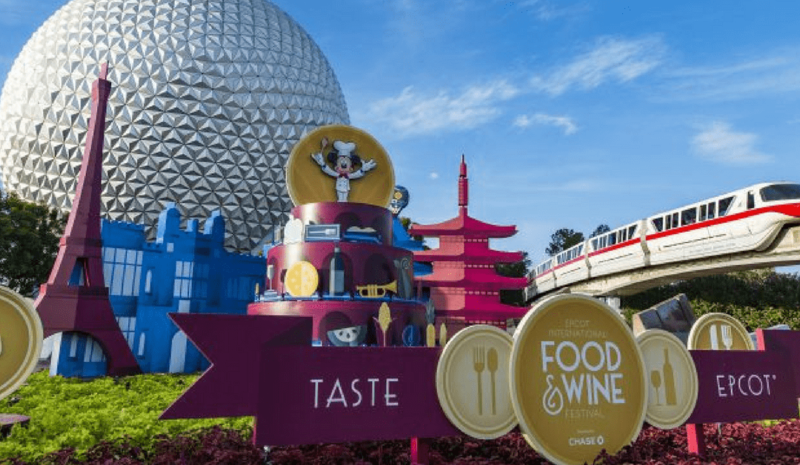 We can’t wait for more information about this year’s International Food and Wine Festival from our friends at Disney Parks Blog. We hope you have made your plans to attend the 2017 International Food and Wine Festival! Please join us in our Facebook group, DISNEY EXPRESS LANE, for more Disney fun and news!